"This is a dangerous and unproductive position," the head of the Ukrainian mission to NATO stressed. Despite positive for Ukraine conclusions of the Venice Commission regarding the conformity of the language clause of Ukraine's law on education to international obligations, Hungary continues to block the Euro-Atlantic integration of Kyiv. 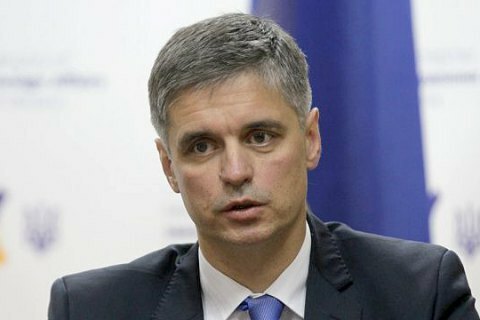 "Obviously, Hungary does not construe the conclusions of the Venice Commission like everyone else, especially in public," head of the mission of Ukraine to NATO Vadym Prystaiko said in an interview with Ukrinform released on 28 December. "I reckon that the Hungarian side has drawn certain conclusions non-publicly. Unfortunately, their understanding proved entirely different from was expected. Our viewpoints have not become any closer. Neither there is any willingness to bilateral arrangements, too," said the envoy. Having lost hope for the use of a powerful international legal instrument against Ukraine like a negative conclusion of the Venice Commission, Hungary, on the contrary, declares preparedness to defend the interests of the Transcarpathian Hungarians to the last ditch, he said. "This is a dangerous and unproductive position," stressed the head of the Ukrainian mission to NATO. On 11 December, the European Commission for Democracy through Law, aka the Venice Commission, released a decision on the language provisions of the Law of Ukraine On Education. The law passed by 255 votes, in particular, regulates the use of the Ukrainian language in the sphere of education. Hungary believes that the language provisions of the law infringe the rights of Hungarian minority in Transcarpathia.